Check out this fun, new sketch over at Atlantic Hearts Sketch Challenge. Absolutely fabulous!!! And here's my card inspired by the sketch. So many ideas were running around in my head, but I always seemed to come back to this fun octopus!!! 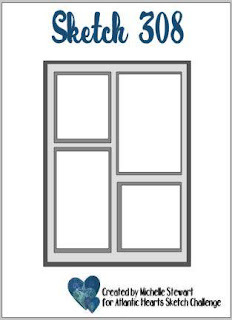 I realized after I had it made that I had flipped the sketch a bit...but I think you still get it. 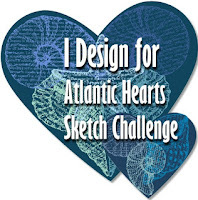 Now I hope you can join us at Atlantic Hearts Sketch Challenge this week.